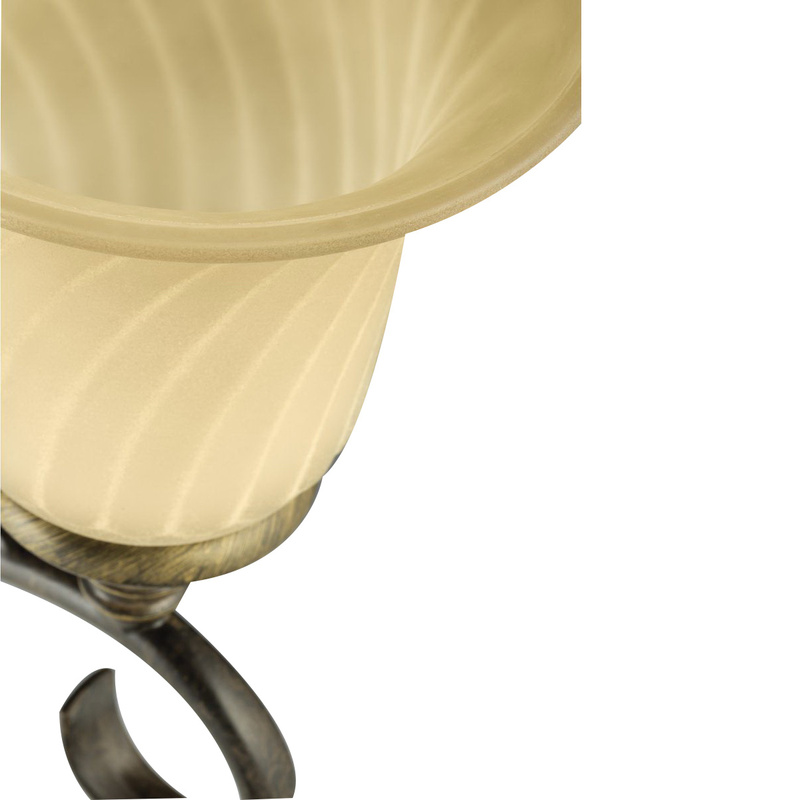 Progress Lighting Kensington Collection Chandelier features scrolled metalwork in a forged bronze finish and trumpet-shaped, slightly textured glass shades in frosted caramel swirl finish. It utilizes (5) 100-Watt medium base incandescent lamps for energy efficiency, superior color rendering and long life. It is supplied with 6-ft 9-gauge chain and is suitable for dining room lighting and/or great room lighting. Chandelier is UL/cUL listed.